Olxam » GATE » How to prepare for gate 2020 in 3 months ? How to prepare for gate 2020 in 3 months ? “What to prepare for gate 2019 in these last 3 months ? How to prepare for gate 2019 in these last 2/3/4 months ? 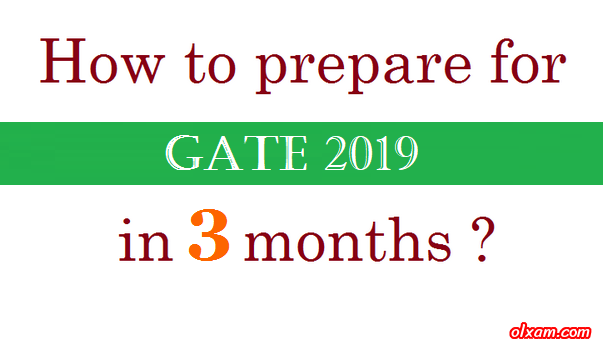 How to Prepare for GATE 2019 in 3 Months – A candidate who will qualify GATE 2019 would not only eligible to get a seat in IISc / IITs / NITs for higher education courses like M. Tech. and P. HD. but also eligible to get call from various PSUs (Public Sector Undertakings) for a job of engineering related work. This is the reason why this exam is being so popular day by day. There are many candidates who have asked us to write a post about how to prepare for GATE 2019 in these remaining 2/3 months. So we are writing this article in the hope that this article will help GATE 2019 aspirants in their last time preparation. Here we are dividing 90 days preparation strategy into four phases. Out of these four phases two are of ’15 day’ each and rest two are of ’30 day’ each. Please don’t check the length of article, trust me, you won’t regret after reading this whole article. If you go through this complete preparation plan for GATE 2019. I am sure that you would be able to crack GATE 2019 exam with a good rank. So let’s start. 1. Understand Syllabus : A candidate who is preparing for GATE 2019 exam, must be familiarize with the latest GATE syllabus. Candidates who have started their GATE 2019 exam preparation early, must have been familiarized with GATE syllabus and important subjects. But as we all knows time left for GATE 2019 exam is very less, So GATE 2019 aspirants need to be more precise now. So before starting your GATE 2019 preparation you must first go through the complete & latest syllabus of GATE 2019. Understand it, analyse it. Also go through the subjectwise marks distribution of each subject of your stream specially those who are starting their GATE preparation in these last few months. 2. Study material : Candidate who are preparing self for GATE 2019 must be precise in their study material selection because first they are preparing self so their preparation is mainly dependent upon their study material and those candidates who are preparing self and started their preparation in these last few months must be more precise. Because selection of right study material will give you better help in your preparation and also time saving while selection of wrong study material will not help you much in your GATE exam preparation but also consume your precise time of GATE exam preparation. So before starting your preparation you must collect a good study material. Nowadays there are many good coaching institutes which are providing exact syllabus following study material. But before choosing any institutes study material you must consult with any of your friend or any of your senior who have good knowledge in this field or have qualified GATE. Although study material provided by institutes exactly follow the GATE syllabus but there is always need of a good book which help you to understand a particular subject extensively. So you must have atleast one standard book of each subject. Also a book of previous years solved papers of atleast 20-30 years. If you can’t join any test series than collect some test series from your friends for your last time preparation. 3. Time Allocation : When you go through the complete GATE syllabus and complete subjectwise analysis of your subject, you will find that there are some subjects which are more important and some less. Candidates those who are starting their preparation in these last few months must concentrate first on those subjects which are more important from GATE exam point of view and give extra focus and time allocation to these subjects. 4. Time Management : GATE 2019 exam date is so close, So you can’t waste a single day of your preparation. So here you need to organize your available time, energy and resources in the best possible manner. Make a smart schedule for your preparation as per your suitability. Candidates must allocate their study hours during the time of the day when they feel that they can study with maximum eﬃciency and give their best. Also make a plan for last time preparation too along with this plan. During last time preparation candidates need to spend more hours with their GATE 2019 preparation. 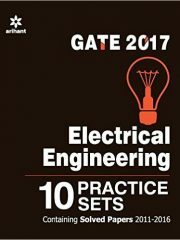 Must Read : How to Prepare IES along with GATE ? 5. Fundamental Preparation : Candidates who started their preparation in these last few months must focus on the fundamentals of each subject in these first 15 days. Clearing Fundamental is the basic need of GATE exam because in GATE exam candidate’s understanding of basic knowledge is checked on advanced level. So start your GATE preparation with understanding fundamentals. 6. Reading : However GATE exam is considered a numerical questions based exam and very less theory questions but for understanding numerical as well as theoretical questions candidate have to have knowledge of that particular question about what question is being asked. So candidate have to do study about more and more topics which he can in these 15 days. Study much but not waste your whole day to prepare a single topic. Remember GATE exam is based on syllabus not topic and you have very less time for preparation. 7. Short Notes : Make a habit to prepare short notes and summarizing important formulas. This habit will save your time in last time preparation while you will revise your GATE syllabus. Remember short notes must be short and precise and as per your understanding otherwise it will unnecessarily consume your precise time in last days of preparation and also make you confused. Keep in mind that your have to revise your whole GATE syllabus within few hours before GATE exam day. 8. Don’t waste time : Some of you want to do Job some M. Tech. using GATE 2019 score. So you can consider this time as one of the most important time of your life & career. So don’t waste your time now, avoid distraction & keep your mind focused on your preparation for atleast these 3 months. If you are not doing so, You are making yourself fool. 1. Solve Problems : As you know time is less for GATE 2019 exam, so only solve questions which are relevant to the exam. Just solving numerous problems will not help your much. Refer previous years papers of last 20-30 years and solve them first. You will easily understand from there that what kind of questions are being asked in GATE exam and which subject is more important from GATE exam point of view. As you know GATE 2019 exam in going to conduct by IIT, Madras. So you people must solve GATE papers of the year in which GATE exam was condcuted by IIT, Madras. It will give you a good idea about paper structure & design provided by IIT, Madras in GATE exam. 2. Solve Relevant Questions : After solving previous years GATE papers you must have a good idea about what type of questions are being asked in GATE exam. So now solve more problems relevant to those questions from any standard book. While solving problem keep your mind concentrate and use your all mind power to solve that particular problem. 3. Revision : Revision is really-really important for such exam where syllabus is huge and lots of things to remember. Revise whatever you study in a day at the last of the day. So allowed some time for revision in your preparation time table. 1. Mock test : Now from here only 40-50 days are left for GATE 2019 exam. So you must start taking tests so that you can be familiarize with GATE online tests. In this one month period you must take atleast 10-12 tests subjectwise. Nowadays there are many institutes which are providing subjectwise test series. 2. 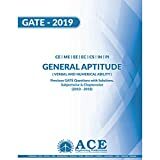 General Aptitude & Mathematics : These subjects are of less weightage in GATE exam but are very-very important if you are aiming for good rank in GATE exam. Without preparing these two subjects one can not be sure for his/her rank in toppers list. If you haven’t start these subjects preparation so far then you must prepare them in this phase. Daily 2-3 hours preparation would be sufficient for these subjects. These two subjects have 30% weightage of total marks in GATE exam. These subjects require less preparation but mostly ignored by most of the candidates. 3. Notes Revision : Candidates do not stop revision. It is very important to revise what you have learned so far. So revise your notes again & again and frequently. 1. More Mock tests : This is the final phase of your preparation. In these last 15 days candidates must attend as much as mock tests they can. Now you can attend mock tests designed as per GATE paper pattern which includes whole syllabus related to your stream. At home revise notes and do solve more and more problems. These last days tests will help you a lot in your GATE 2019 exam. 2. More Revision : Now it’s time to revise everything whatever you have studied so far. Revise your short notes and formulas which you have made so far in the way that you can recall them all at the day of GATE 2019 exam easily. 3. Daily Routine : Many candidates preparing for such high competitive exams mostly don’t care about their heath properly. This inversely affect their last time preparation. So have a good sleep and balanced diet. 4. 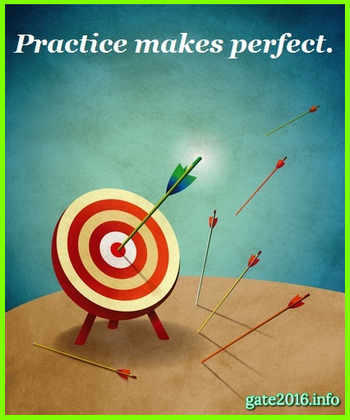 Encourage Yourself : Most of the candidates lost faith in these last days preparation and miss a good chance of success. So candidates must be positive, be confident and keep faith in themselves and god. Belief that your hard work and efforts will surely pay-off. These 90 days of preparation can change your life. We hope this article will help you in your last time preparation of GATE 2019 exam. If you follow all these steps carefully, You will surely get good rank in GATE 2019 exam. So start your preparation for GATE 2019 exam with complete dedication. Consider GATE 2019 exam like this is the only attempt left for you. Don’t thing that you would attend GATE 2019 with full dedication, with full preparation. Why not GATE 2019 with full dedication, with full preparation ? Still you have almost 90 days in your hand. You have studied the same course during your engineering. You just need to recall them correctly. So, we hope these 90 days would be sufficient for your GATE 2019 exam preparation. If you really want to crack it. I am a mechanical engineering student and I want to know that in which order should I make subject priority list so that I can score to get atleast a NIT and then an IIT in these two and half months . You must now prepare topic wise rather than subject wise. 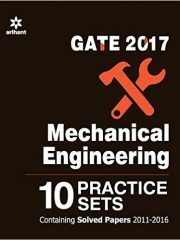 You can find important topics for GATE 2018 exam using previous years papers. We have also provided some analysis related to previous GATE paper. Please check below link. sir I’m in a stuck while revising studying the subject fully in the best manner with questions and all will be beneficial or completing the full course in a go. I m confused sir please help me. It is a common issue among GATE aspirants. This is why we always suggest to prepare short notes for last time preparation. Now you choose important areas / topics of each subject and first prepare them well and then rest. I am student from pesce.i want to crack with in this 3 months,if I start now is it possible to crack,i didn’t attend any coaching and I have some materials but don’t have books,is it possible crack,how many hours in a day we need to study in order to crack. Yes it is possible just prepare priority wise. What is most important prepare them first than other. Sir tell me book for reasoing and aptitude ..i am mechanical student ..bcz want to be strong aptitude and math portion.. Reasoning and aptitude books are provided at the start of this post. I am final year meallurgy student appearing for gate 2016. Can you help me get the gate score vs rank in year 2015 for metallurgical engineering. Sir , I’m a student of Mca 4m ignou , I hv done Pgdca 4m ignou , can I give this exam ?? & what is the process of gate exam ? I am Jhuma.Sir I am studying in CSE final year.Sir I did not get any proper coaching from any institute. 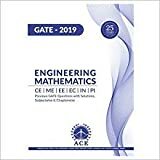 I always tried to solve gate previous years questions by my acquired knowledge how much I got from my college and one of my teacher.But these are not sufficient to crack the gate exam. Because of some financial problem I could not take any online courses. So,Sir it is my heartly request to suggest me how can I prepare myself in this last period of time. This time is mainly for revision and attending mock tests. You just solve previous years papers precisely and after that solve some related questions which are closely related to concept which you learned from solving previous years papers questions. If possible join some online mock test. It will help you to understand online GATE exam. sir..i m student of ME final year and i m doing coaching for gate since from june 2015 but i dont started revision and practice yet and its too difficult to cover all subject so what would i prefer now? First make a time table for remaining 2 months. Include revision and practice time in it mainly. It is a must. This must be your first preference and in the remaining time you can do new things like studying new topics etc. Thanks for appreciating our work. Age limit is an essential eligibility. A candidate must fulfill these kind of eligibility too. This problem has no solution. 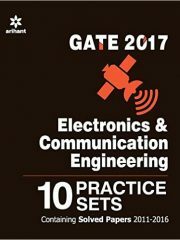 It is really a great decision that you want to start your GATE exam preparation from 2nd year of engineering. Than start studying each subject politely you have much time for GATE exam preparation. You may read this blog during your free time. Here we have written so many posts related to GATE/IES/PSUs exam information and preparation. It will surely help you in your preparation. 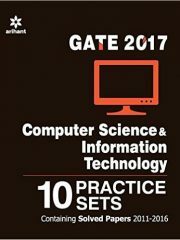 I m a computer science engineering passout this year .I am preparing for gate 2016 from past 2 months.I have been studying mainly from made easy 29 years solved. I m in need for study materials where each topic is given precisely. As I am doing self study and not taking any coaching classes ,can u recommend from where I can get the study materials ? also as very short time is left for the exams,is it recommended that I leave few topics from the syllabus and concentrate on others ,which seems easier to me,to score well in the exam. Fist of all I really appreciate your strategy which you have adopted for these last few months preparation. Yes solving previous years papers will surely help you in your GATE 2016 exam. When you solve a particular question. Just write subject name then chapter name and then topic name on that question. Now a days you can find books in market which provide chapter wise solution. So you just need to write topics name only. When you will solve all previous years papers question you will have all the topic from which questions are asked the most. Prepare them first than others. I want to know that which PSUs are recruiting M.Sc chemistry students.only ONGC is there which is recruiting so my question is there any other PSUs which also recruiting M.Sc chemistry students??? Here you will find a list of PSUs branch wise (Table-2). Just visit those PSUs using table-1. Sir i completed my btech in 2013 but due to a backlog i get i degree of 2014 so what should i write in the column of year of passing in any form. Hi..i was unfit for along tim.. i am finally on now.. i dont hav work..i hav 24 hrs to study no issus at all.. but i am going to start studying now..i hav kanodia 2016 mcq qustions.. sinc i hav full day to study can i finish bfr tim? In these last months of preparation if you haven’t prepare anything yet then you must concentrate more on previous years papers. 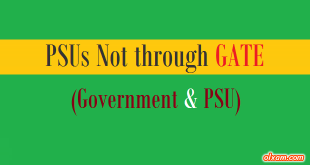 Please check this page regularly for PSUs through GATE 2016. Please note there are 2 tables. Table 2 is showing branch was PSUs recruitment. We will update here all the vacancies details through GATE 2016. Sir I am a student of B.tech civil of NMIET.it is a AICTE prooved institution. Can I give IES exam ?